I cannot believe we never tried this until now.....so worth the wait though. Find out how we created this slimey Fun. The pictures speak for themselves. 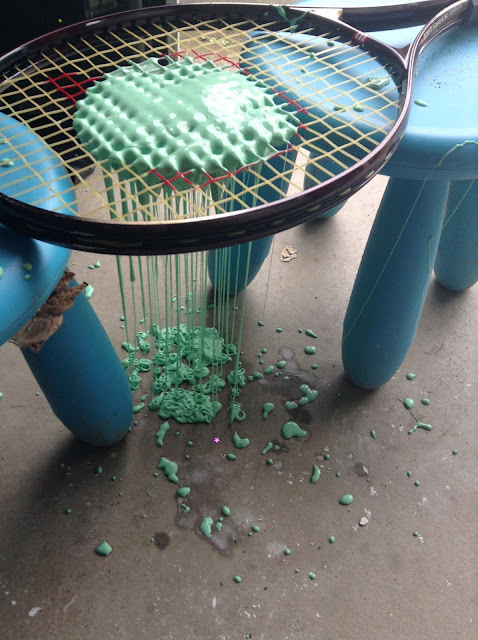 Basically all you do to create this AWESOME experiment is to place the slime on top of the item with holes and let it slowly ooze out. You could hang a strainer up high or we placed a tennis racket on top of two kid stools on either side. Then let the slime do its trick. I walked away for a minute or two and my daughter came yelling, "Come quick.....NOW!" This was ultimate excitement! Hope you try this....do not wait as long as we did! This looks like fun. 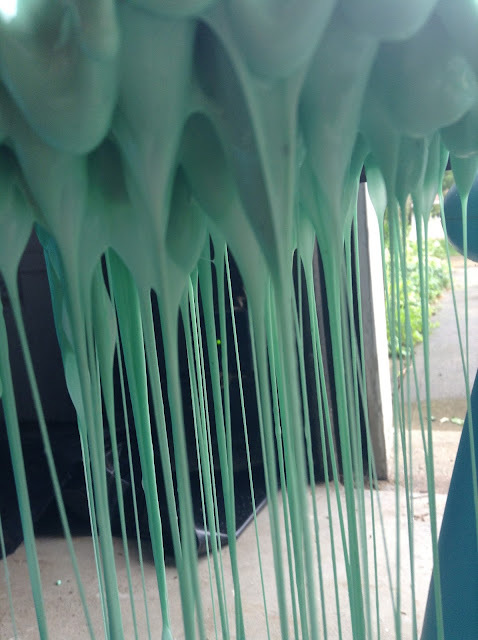 It looks like you did it outside - how did you clean up the slime afterwards? We did take it outside. Surprisingly very easy to clean up....it just rubs off. 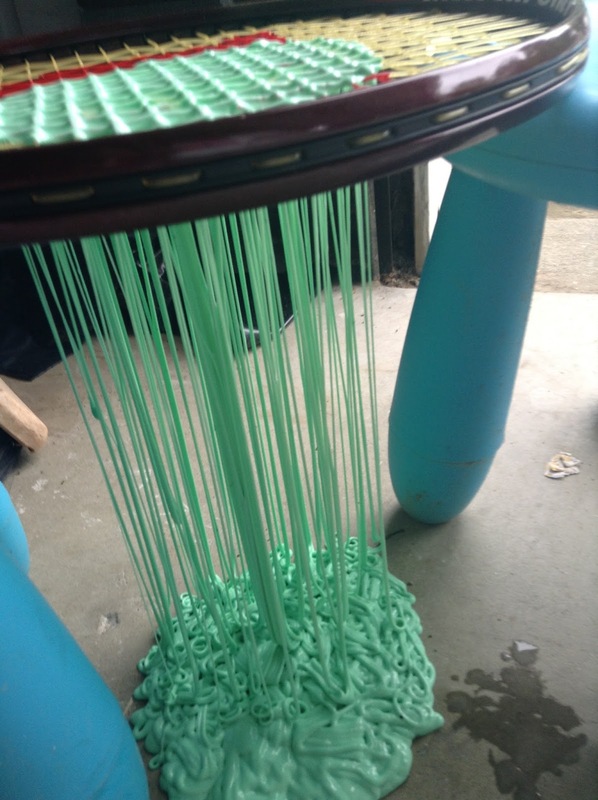 Slime is a classic! I can't wait to try this with my little ones. Love how something so simple is so interesting. 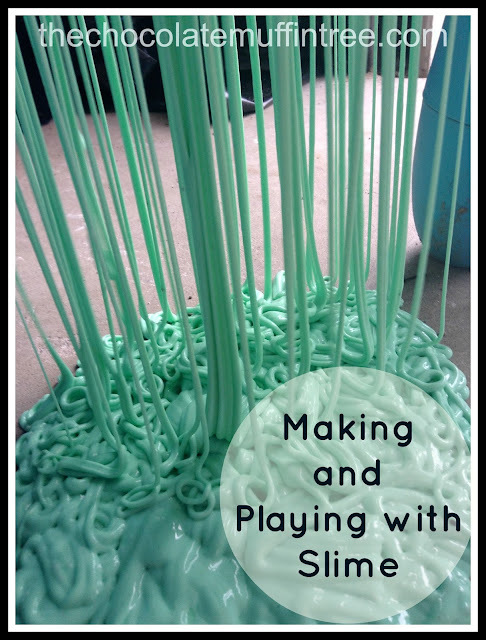 which slime did you use, #1 or #2? It was actually a combination of both slimes!